Students find the immersive course in quantum technologies "awesome" and "mind-blowing"
Students taking part in Generation Q Camp enjoyed a week of lectures, demos and lab visits. See more photos on our Facebook page. June is the summer break for local schools, but some 45 students decided to spend their holidays learning about the exciting worlds of quantum technologies and cryptography. From 12-16 June, we hosted students from 14 schools for a week-long workshop called Generation Q Camp, taught by CQT researchers and PhD students. Students learnt physics, maths and computer science going beyond their syllabus, getting a taste of what they could study as undergraduates, and what real scientific research – where the answers aren't known yet – looks like. As companies such as Google and IBM are investing in research in quantum technologies, students also got a glimpse into an area that will offer industry jobs. CQT Research Fellow Jamie Sikora, the camp's organiser, said: "This year we had a great bunch of students who joined us for a five-day camp about quantum technologies. Our team of over 25 PhD students, postdocs, and professors helped bring the camp to life by volunteering to teach and/or demonstrate topics covering many aspects of the quantum world. I think we all had a great time!" 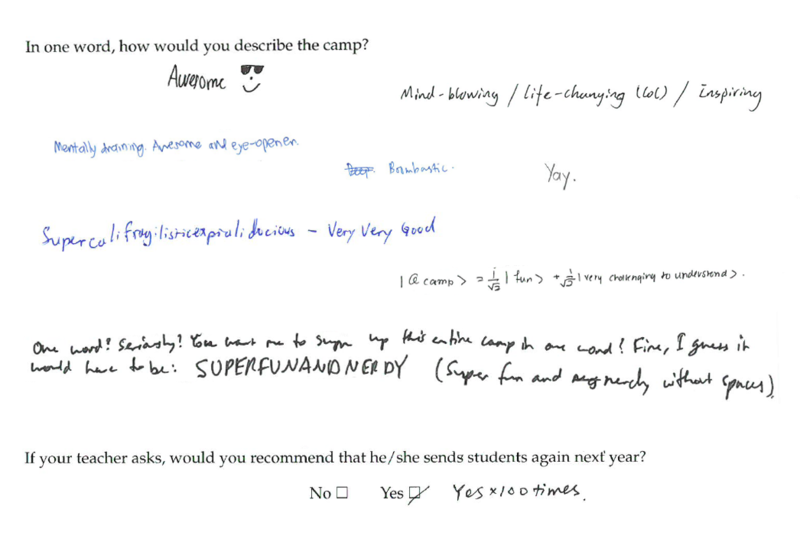 Of the 40 students who rated the camp, choosing from options ranging from excellent to poor, all said the camp was excellent or good. All the students also said that, if their teacher asked, they would recommend sending students again next year. The students were aged 16 and older. Q Camp will be back in 2018.